Panasonic KX-TS880-B is a single lines telephone with LCD Display and Caller ID. 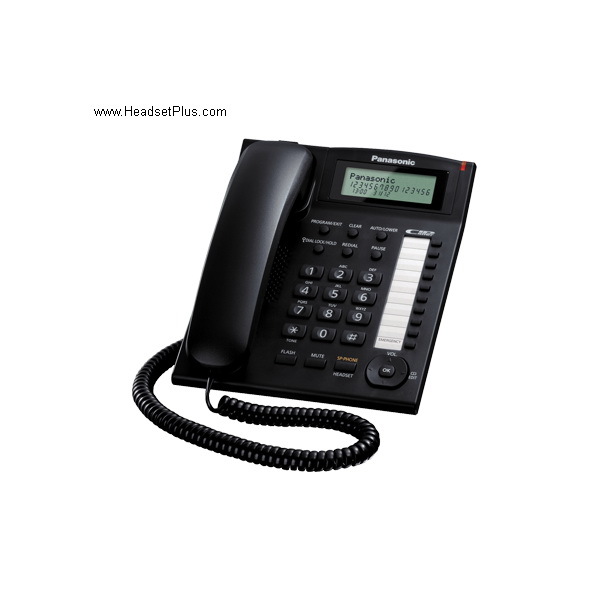 Panasonic KX-TS880 corded phone is perfect for everyday office environment. With integrated speakerphone lets you talk hands free and comfortably. Track your caller, call duration, number dialed in the large LCD of this Panasonic Phone. Just plug in your modem and fax and get quick and easy line-sharing with the Panasonic KX-TS880. Get an optional 2.5mm headset with this Panasonic Single Line Corded Phone for private and hands free conversations.